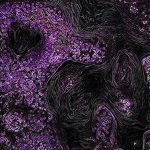 Last week, the U.S. Food and Drug Administration (FDA) approved a new combination of drugs, formulated together in a single pill called Lonsurf (previously known as TAS-102), to treat patients with advanced colorectal cancer that is no longer responding to other treatments after the treatment was shown in a double-blind, placebo-controlled, phase III clinical trial to extend overall survival. Advances against colorectal cancer were urgently needed because even though screening has helped dramatically reduce incidence and mortality rates, the disease remains the second-leading cause of cancer-related death in the United States. The two drugs in the new pill—trifluridine and tipiracil—work together to exert an anticancer effect. Trifluridine is the cytotoxic chemotherapeutic component of TAS-102, causing damage to DNA, which can ultimately trigger cell death, while tipiracil prevents rapid breakdown of trifluridine, thereby maintaining adequate levels of the trifluridine in the body. Trifluridine is a nucleoside analogue, which means it is very similar to the basic building blocks of DNA. Upon entering the body, trifluridine can be modified by a process called phosphorylation. After this, because of its similarity to the building blocks of DNA, it can be incorporated into DNA. However, because it is not a true DNA building block, this results in abnormal DNA; this has been reported to be the main mechanism by which TAS-102 causes DNA damage. Other DNA building block analogues, such as fluorouracil, have been a mainstay of cancer chemotherapy for decades. However, in the phase III clinical trial that led to the FDA approval of TAS-102, results of which were published in The New England Journal of Medicine, the new combination chemotherapeutic pill extended survival even for those patients who had colorectal cancer that was no longer responding to treatment with fluorouracil-containing treatments. With several ongoing clinical trials evaluating TAS-102 as a treatment for other types of cancer, we will likely learn more about the potential for this chemotherapeutic-containing agent to benefit a wider group of patients in the near future.